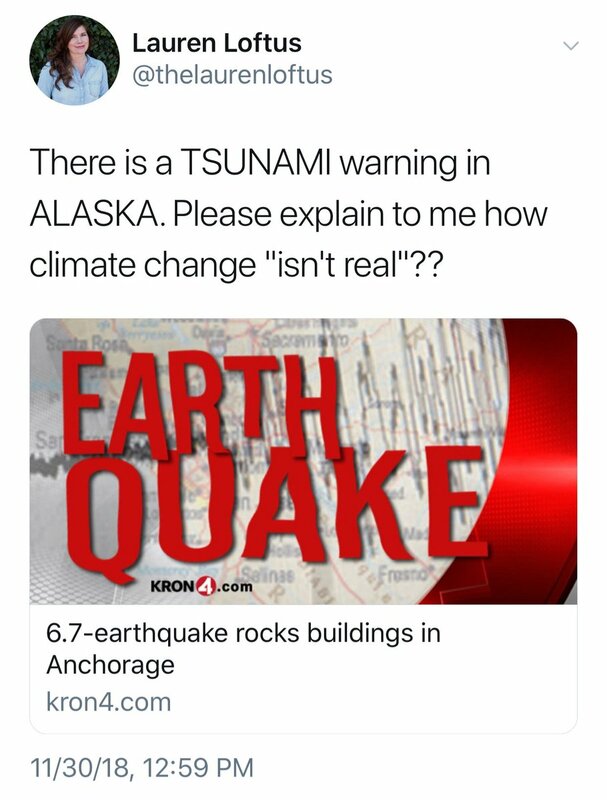 I guess this was predictable after the Alaska 7.0 earthquake today – the quake was caused by climate change – who knew? She is a graduate of the Arizona State University Walter Cronkite School of Journalism and Mass Communication and has worked for the Washington Post according to her Twitter bio. 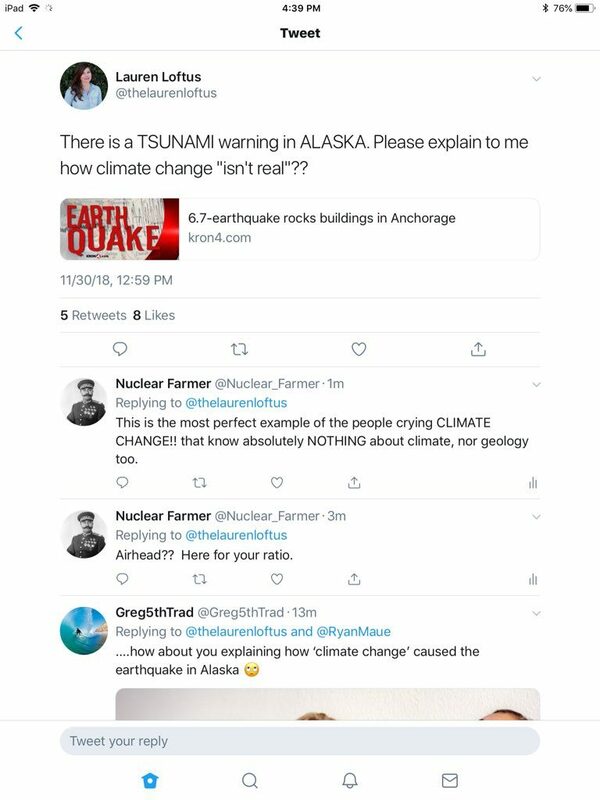 She uses a logical fallacy to link climate change to Alaskan quakes and the November 30th, 2018 quake specifically. Why she did this is a mystery as it makes no sense. She was not the only one promoting this theme either. Social media instantly devolves into nonsense, primarily motivated by political leanings and a desire to persuade others to adopt one’s political agenda. Never let a crisis go to waste! If you did not know, Alaska has more large earthquakes than the other 49 U.S. states combined – one is measured every 15 minutes (averaged). These quakes are caused primarily by the movement of tectonic plates. Read what the Alaska Earthquake Center has to say about this. Unfortunately, journalists do this to themselves and their profession on a daily basis.